An instruction book that is beautifully illustrated. From the simple and elegant plant basket and childs basket to the challenging lidded sewing basket and large shopping basket. 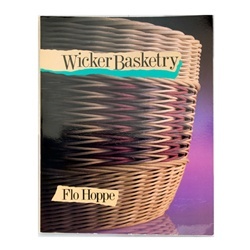 Flo Hoppe’s careful instructions will help you master the crafts of weaving with round reed.